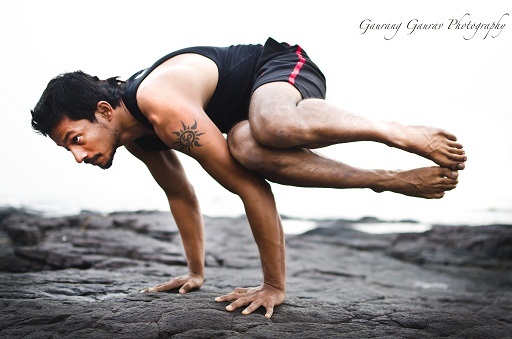 Kakasana (‘kak’ means crow) and Bakasana (‘bak’ means crane) is one of my favourite poses. 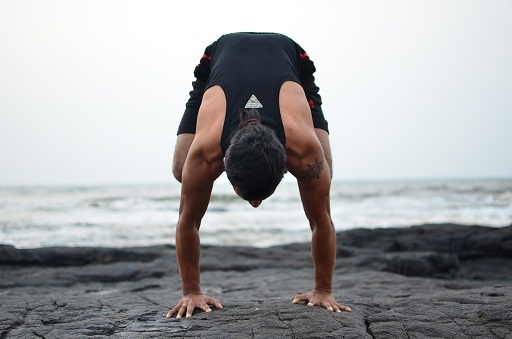 This pose is a foundation of all the arm balance postures. When you get this one, many other arm balances and even handstand start to fall in to place. Squat on the floor with feet about shoulder width apart. Place the hand flat on the floor in front of the feet with the fingers facing forward. Keep the fingers wide apart. Slightly bend the elbows so that the elbows are facing outwards. Rise on your toes lean forward and place the knee in such a way that the inside of the knee touches the outside of the upper arm as near as possible to the armpits. Lean forward further transferring the body weight to the arms and lifting the feet off the floor. Try to bring both the feet together. Hold the final position for as long as is comfortable. Slowly lower the feet to the floor and relax. For a precautionary measure keep a pillow or some soft cushion in front of you, because there can be a tendency to fall on your face. Baka means crane. For this posture you have to perform the same as kakasana but you have to keep your knee on the upper arm as near to the armpits as possible, once in the posture try to keep your arms straight (elbow is not bent, crane walks with straight legs and a crow has legs bent). This posture is a little tuft than the crow posture so I recommend to master Crow posture first before trying this. Bakasana and kakasana are almost similar, elbow is straight in bakasana and bent in kakasana so sometimes the names of the postures are interchangeably used. 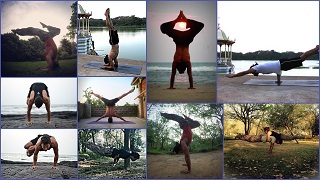 Once you perfect the Crane/ Crow postures you can try the variations. 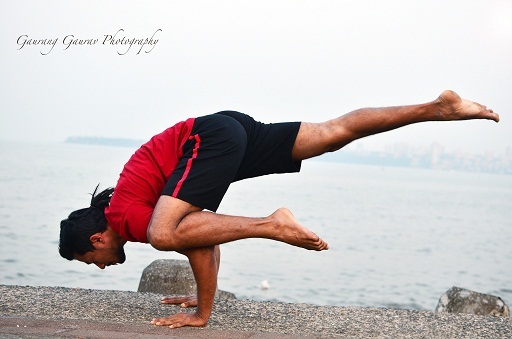 Parsva bakasana (twisted crane) :- Squat on the floor with feet and thigh together and balance on the toes. Place the hand flat on the floor shoulder width apart with the fingers facing forward. Keep the fingers wide apart. Slightly bend the elbows so that the elbows are facing outwards. Place the left thigh on the right upper arm by twisting your body. Lean forward and slowly lift both feet above the ground. You can also try the same posture with straight arm but it will be a little difficult from the bend elbow variation. Hold the final position for as long as is comfortable. Slowly lower the feet to the floor and relax. Repeat on the other side. Ek Pada bakasana (one legged crane) :- Come to the crane postue with bend elbows. Slowly transfer more weight to the left arm and slowly stretch the right leg back until it is straight. Hold this position for as long as is possible. Come back to the initial position and repeat on the other side.